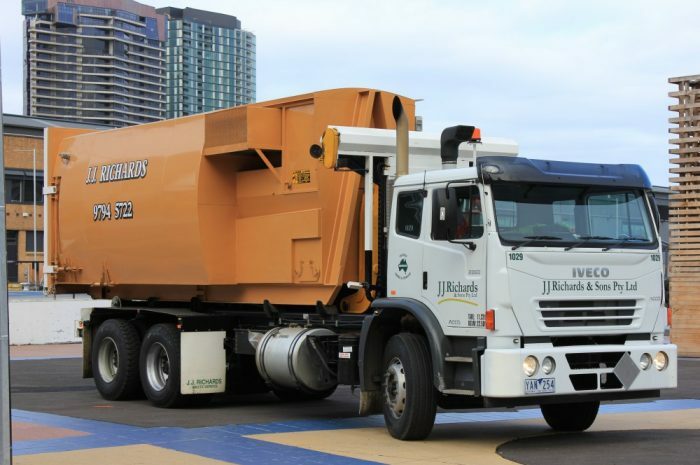 J.J. Richards offers a range of different compactor sizes to suit our customers’ needs. Please note that assessment of the site will be required by our specialist sales representatives prior to commencement of services to determine the most suitable combination of compactor and tank to suit your needs. 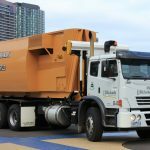 Compactor and tank dimensions may vary due to the vehicles available in your area. Please contact your local depot today to discuss the most efficient and effective solution for your needs. Important Note: For development and planning purposes please contact your local authority to confirm local vehicle specifications. 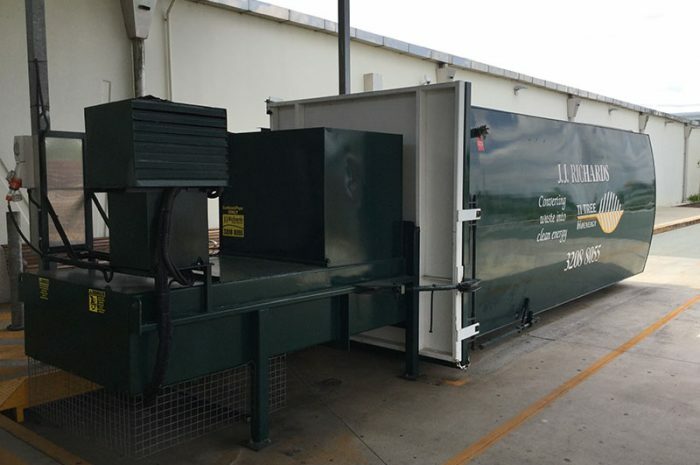 The RF series of Compactors are specifically designed for businesses, which produce large volumes of compactable refuse/cardboard. 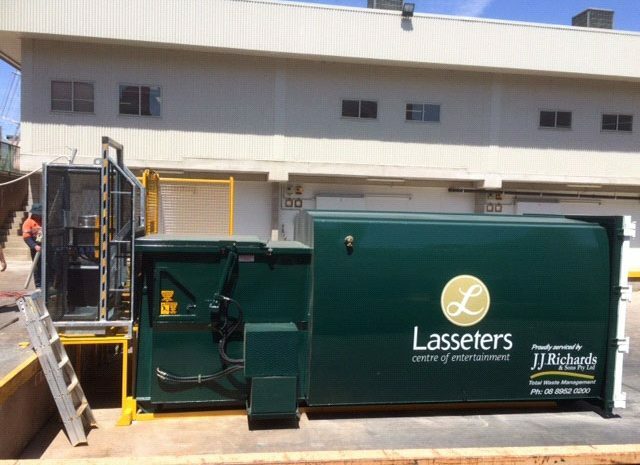 The compactors are comprised of a compaction unit and a separate compactor tank, which is pulled away from the compaction unit for collection and transport. The unit can be painted in standard colours or painted/sign written to your specifications and corporate colour schemes. 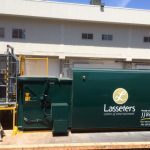 The J.J. Richards Unipak (all-in-one) compaction unit was designed to prevent the egress of liquid from compactor tanks when they are disassociated from the compaction unit for emptying. 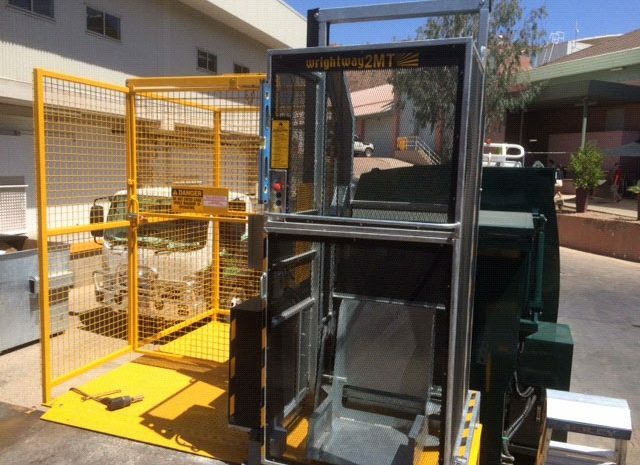 This ensures the hygienic storage of putrescible waste in areas demanding high standards of public amenity (e.g. Restaurants, shopping centre food courts etc.). The Unipak is fully sealed with all liquids retained in the machine. This keeps odour to a minimum and ensures appropriate containment and disposal of any liquids generated. 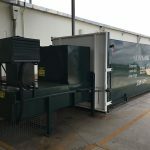 The J.J. Richards Refrigerated Unipak (Fridgepak) compaction unit was specifically developed for customers generating high volumes of food waste which, when compacted, have the potential to generate significant liquid runoff. 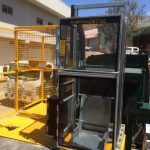 The Fridgepak also eliminates the need for expensive cold-room construction, with the waste refrigerated by an air conditioning unit fitted to the machine. The Fridgepak is manufactured with a 50mm insulated double skinned interior. Temperature controls are adjustable to -3oo C, which will inhibit odour-causing bacteria and potentially eliminate pest and vermin problems. Ozone fluorescent lights may also be fitted to the hopper area to further reduce odours. 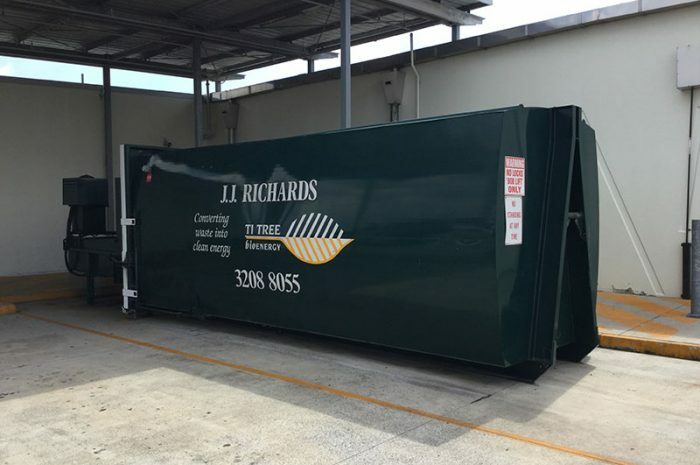 J.J. Richards offers a range of different compactor sizes to suit our customers needs. Please note that assessment of the site will be required by our specialist sales representatives prior to commencement of services to determine the most suitable combination of compactor and tank to suit your needs. 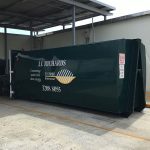 Compactor and tank dimensions may vary due to the vehicles available in your area.